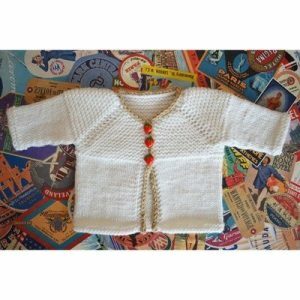 Hello Baby Cardigan Free Knitting Pattern. An origina design by, Susan B. Anderson for Spud & Chloë. If anyone has or has done this pattern, can you help me out with the instructions for the sleeves? I am a fairly new knitter and am really struggling to understand how to start the sleeves. I’m desperate to get this finished before my son is born! This is an all in one pattern the sleeves are included in the pattern they’re not separate. The cardigan pattern is knitted from the top down.